White paint is my jam. White paint is all fun and games in it's bright, light, happy glory until it gets dirty. 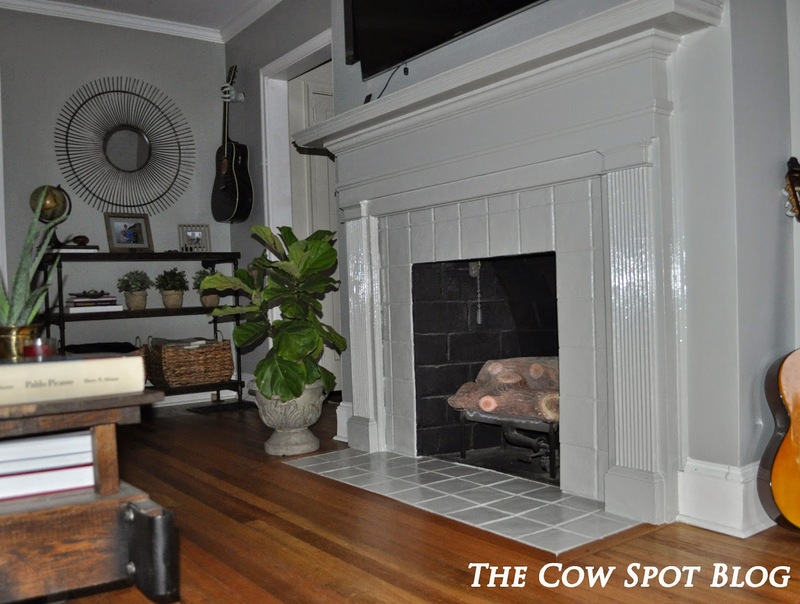 White paint that gets dirty is no longer polished and happy, it's dingy and sad. 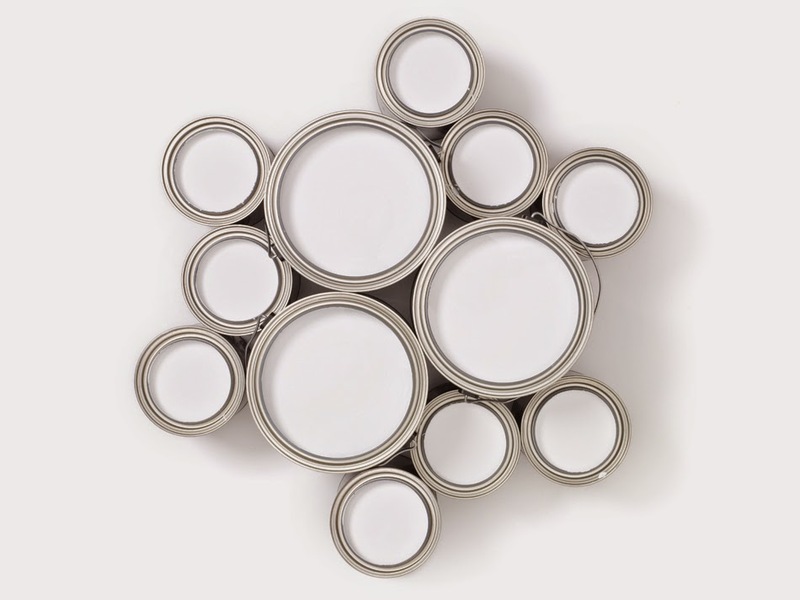 I'm constantly torn, because while I love how white paint can instantly lighten up any space, making it feel instantly fresh; actually living with white paint on a daily basis, especially in areas that see a lot of traffic or get touched a lot has started to drive me bonkers. You all may remember when we purchased this house the tile around the fireplace was peach. I painted that tile white so fast it didn't know what hit it. In typical, white saves the day form - the tile instantly felt fresh and clean and the room as a whole felt about 100% more cohesive. All was well until I started to notice, early on that the tile on the floor was getting dirty thus looking dingy. It wasn't so much that it was literally dirty because no matter how many times I swept or vacuumed over it the appearance was the same. The truth is, the tile is smack dab in the middle of a main traffic path and gets walked on regularly. In addition, Luke, our giant fluff ball of a dog likes to lay on the tile, especially in the summer because it's cool to him. Neither predicament is going to change so I decided it was time for the white to go. My plan was to paint the entire fireplace the same color as the wall, Benjamin Moore's Sea Haze, but in a glossy finish. I know it's a little different, but I had a really good feeling about this idea. Brent however wasn't 100% sold so we compromised and decided to paint just the tile to start. We taped her off and went to town. 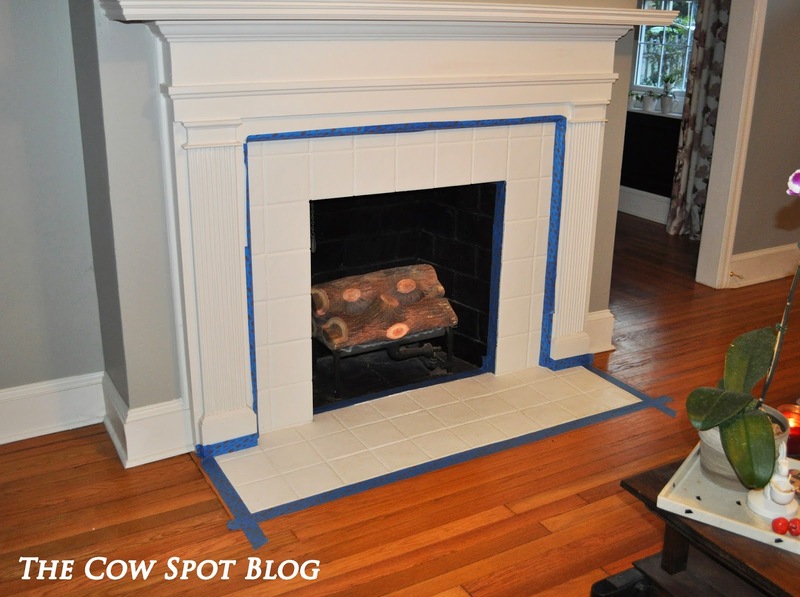 Unfortunately I don't have a picture with just the tile painted in the Sea Haze (bad blogger, bad) because it only stayed like that for 2.4 seconds before....SPOILER ALERT....... the rest of the fireplace got painted as well. Don't get me wrong, it wasn't a bad look it just came across a little too choppy for this space. I was looking for a quieter look, something that was pretty but subtle. 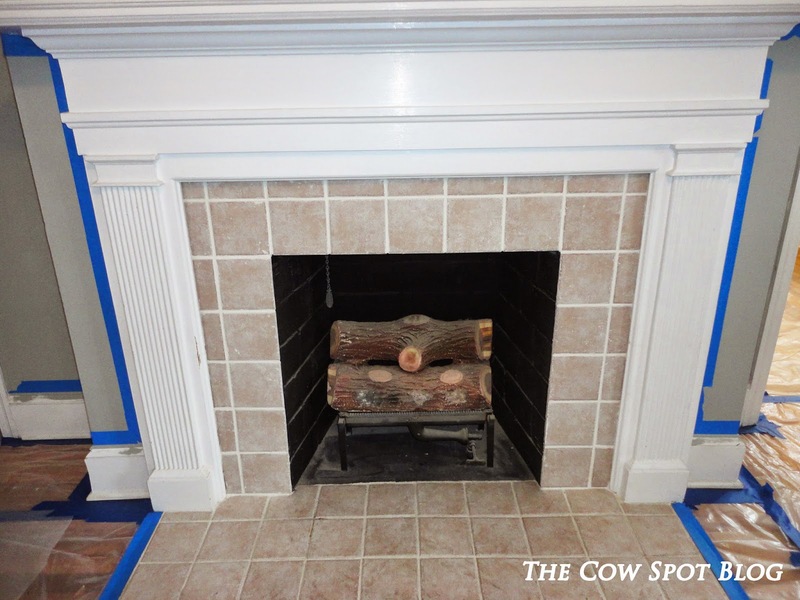 So, I forged on and painted the rest of the surround and mantle. With every stroke I became more excited. 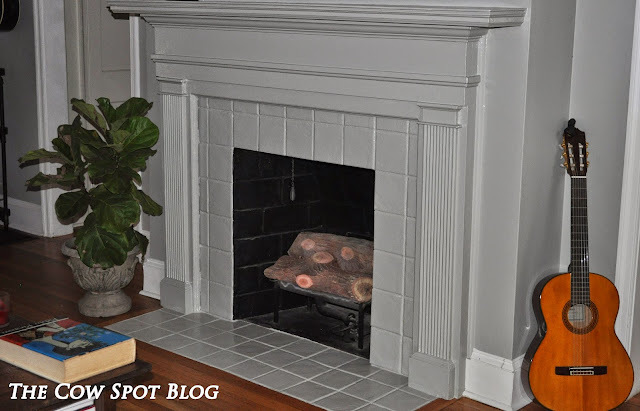 My vision relied heavily on the glossy finish and it did just what I had hoped - it accentuated the heck out of detailing around the fireplace. Little moldings I'd barely noticed before now popped and the whole piece felt more architectural. It seems weird, but believe it or not the fireplace being the same color as the wall, albeit a darker color than it was originally, actually makes the space feel larger. The living room is long, but narrow, which means when you walk through the front door you can see the room in it's entirety right away. Spaces like this can easily become too busy, with too many different colors for the eye to take in, especially once we add a rug, curtains, an ottoman and more art. Having the fireplace blend right into the wall adds a quiet drama to the room while increasing the interest and texture. I love projects like this, because sometimes you get a wild hair, go for it and fail, but that's OK because it's only paint. Other times you get a wild hair, go for it and it's AWESOME, in which case you feel like a genius. I'm hoping you all see this as an example of the latter..............yeah, me too. Unless otherwise noted all photos are my own. Have you ever wanted to stab a deck?